Fanboy Glass has taken all of your favorite geeky shows and games and turned them into your newest set of glassware. 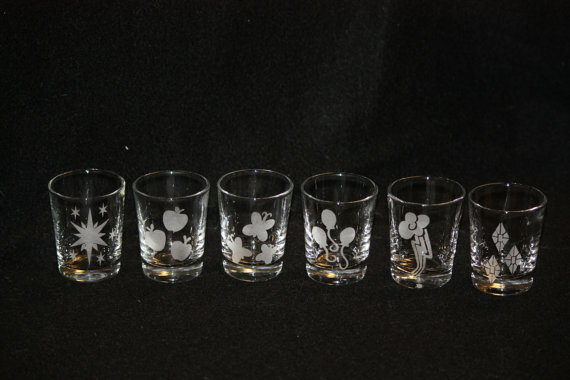 His shot glasses, pint glasses, mugs and wine glasses range in price from $7-22 each and feature artwork inspired from Buffy, Portal, Doctor Who, My Little Pony, and more. I particularly enjoy the My Little Pony Cutie Mark shot glass set, Tardis pint glass, and the Magic: The Gathering Mana Symbols pint glass set. Check out the almost 200 items he has to offer here! The Glasses looks really great.